Do you have any activities for young children about leaves changing color in the fall? The changing color of the autumn leaves is a great opportunity for exploring science, art and literacy with young children. If you remember your early science lessons, leaves change color when the weather gets colder because the tree stops making chlorophyll – the green pigment in leaves. This unmasks the colors that were there all along, but were hidden. Now the other colors—red, orange, yellow, purple and brown–of the leaves are revealed. To help young children understand this concept, give them hands-on experience collecting, preserving, identifying, and examining leaves to deepen their understanding of how and why leaves change color in the fall. 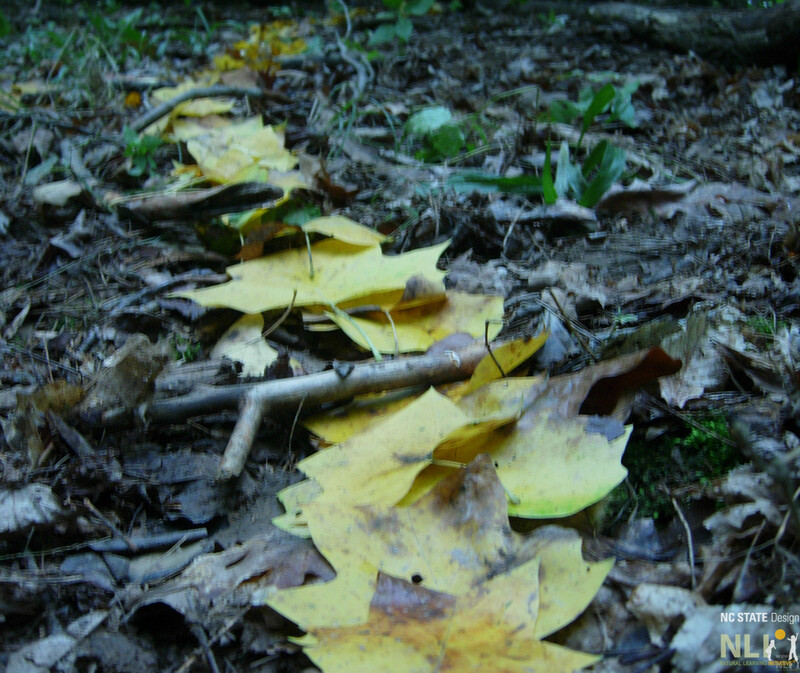 Take children on a nature walk and ask them to collect as many different color leaves as they can find. 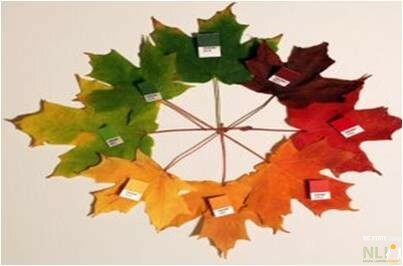 The children can arrange the leaves in a color wheel as shown in the photo at the right. This might also be a good time to introduce color combinations by giving them opportunities to explore mixing different colors together, such as red and yellow to make orange. Reinforce their learning about changing fall colors by reading books. Leaf Man by Lois Ehlert [Harcourt, 2005], Why Do Leaves Change Color? by Betsy Maestro [HarperCollins Publishers, 1994], Leaves! Leaves! Leaves!, by Nancy Elizabeth Wallace [Marshall Cavendish Publishers, 2003] and other books containing information about identifying kinds of leaves are enjoyable ways for young children to experience the wonders of the fall season. Children each selected a green leaf. String was tied to the stem of the leaf and labeled, so it could be found when it fell. Rock art with autumn leaves. 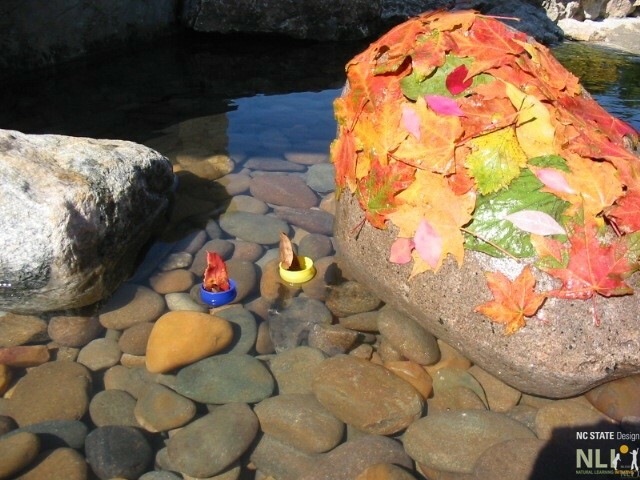 Children used water to decorate the rock with leaves. 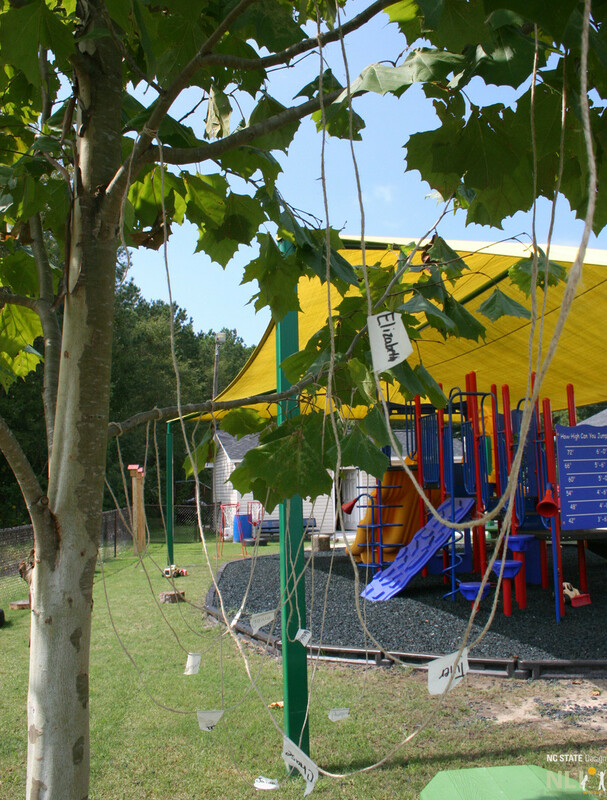 For more activities, see Environmental Experiences for Early Childhood guide from Project Learning Tree. The guide will help educators lead exciting explorations and discoveries about our environment and includes over 130 educational experiences which integrate investigations of nature with art, literature, math, music, and movement. 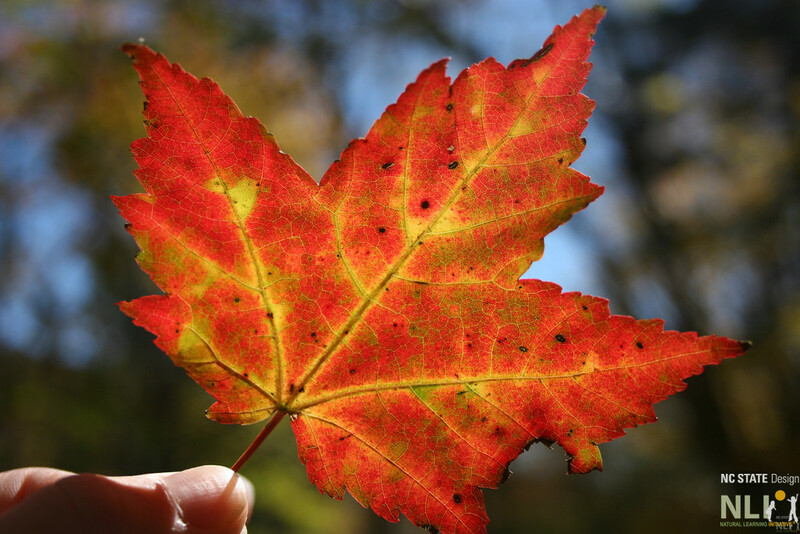 Environmental Education for Kids (EEK): Why do leaves change color?